Ross Wyatt Anderson, DDS, FAGD, FICOI is a second generation dental surgeon and a graduate from The University of Texas Health Science Center in San Antonio, Texas. He has served the last four generations of El Campoians and the surrounding Wharton County community for the last fifteen years as a native Texan and rancher. As a local practitioner he appreciates his patient’s loyal support and frequently donates to local charities such as The Boys and Girls Club to give back to the community. He is highly recognized for his dedication and expertise in General Dentistry, Orthodontics and Implantology. He has received The Bronze Award and recently became a fellow of The International Congress of Oral Implantologists. 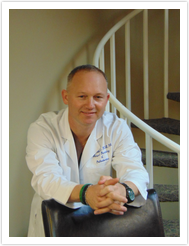 Dr. Anderson also completed his post-doctorial program at The United States Dental Institute. Here he received his program completion in Orthodontics and became Board Certified in Intravenous Sedation. He is also certified in PALS and ACLS. Along with providing the community with clean healthy smiles Dr. Anderson also has extensive practice in dental implants which have quickly become the preferred method for replacing missing teeth. When teeth are lost, the jaw bone can eventually wither and atrophy. Dental implants are a great solution that can curb bone loss and actually encourage new bone to grow. Anchored in the jaw bone, dental implants function like natural teeth and offer many benefits over traditional bridges and dentures. As a leading implant dentist, Dr. Ross Wyatt Anderson has the innovation, experience, and training required to solve even the most complex implant cases. What does it mean for a dentist to be a fellow? 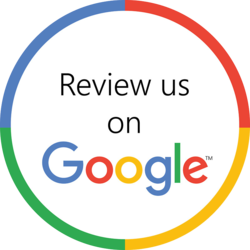 To learn more about our office, schedule an implant consultation or to schedule a cleaning please contact our office today at 979-543-4291.